The home haircare range has won over so many fans amongst our clients and the in house personalised treatments continue to reward us with great results. 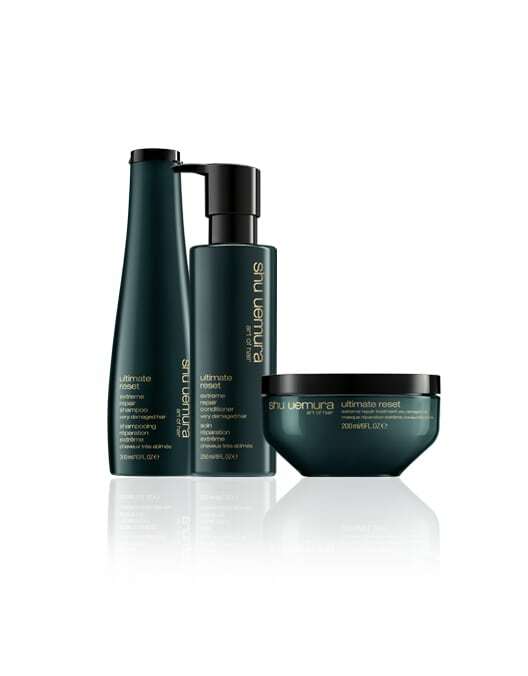 The line contains a shampoo, conditioner and mask. We here a styling serum/protectant is also on the way. Ultimate Reset is designed for extremely damaged hair , repairing, nourishing, moisturising and sealing the cuticle to provide unparalleled shine and smoothness. So if your hair is feeling the ravishes of Summer just passed, try shu uemura’s “Ultimate Reset”, we’ve been experimenting with it in house over the past 6 weeks and the results have been truly outstanding.